The wired bicycle computer comes with a powerful rechargeable battery, charge with USB cable, no need to change batteries any more. It offers you a 12-hour continuous backlight so you can read the display easily even when you're faced with a less ideal lighting condition. Please charge it for almost 1 hour when it is out of charge. The bike computer offers you 3 sets of speed data: current / average / maximum speed. It also offers you a real-time comparison between current speed and average speed to indicate whether you are speeding up or slowing down. KMH / MPH switch is supported. 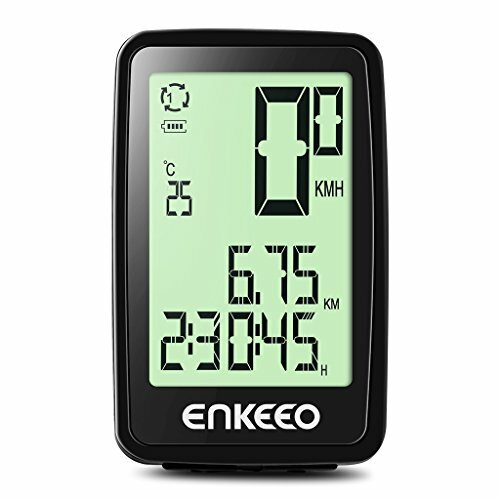 Dimensions: 6.3 x 4.0 x 2.0 cm / 2.5" x 1.6" x 0.8"
PRECISE MEASUREMENTS: measures your current speed, average speed and displays the comparison between the 2 parameters; also measures distance, riding time etc.